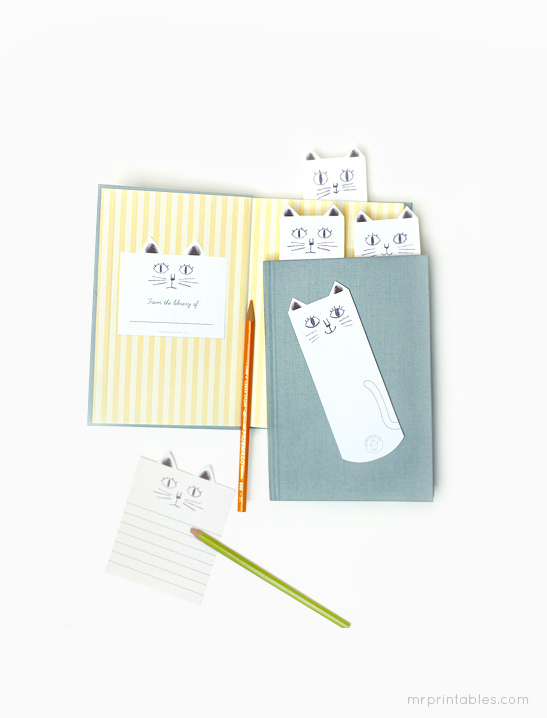 Cat lovers will enjoy these free printable bookmarks with sweet hand-drawn illustrations of cats. We love the way the cats peek out of the books. You can mark several pages with different cat faces. 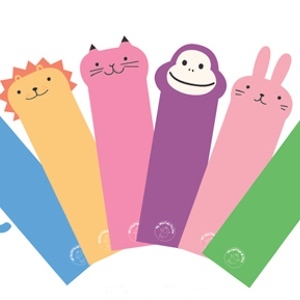 Children can color in, decorate the cats or write on them. Or try printing the template on colorful papers, brown craft paper or ‘off-white’ cream colored papers. 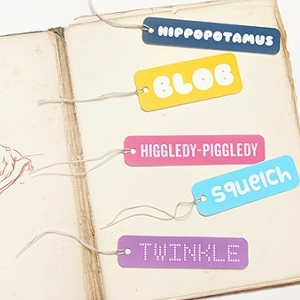 You can create many different looks for these cute bookmarks. Use the ‘white’ version if you want white bookmarks or want to print on colored papers, or use the ‘off-white’ version if you want to print on normal white paper to create a pale brown tone. These bookmarks are best laminated.